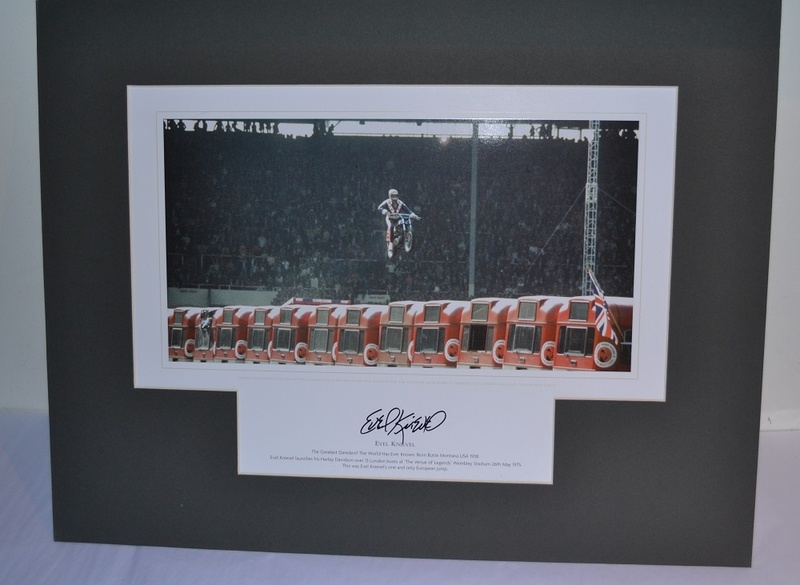 Evel Knievel Signed & Framed Display A framed montage signed by Evel Knievel, pictured in 1975 jumping 13 London buses at Wembley Stadium. 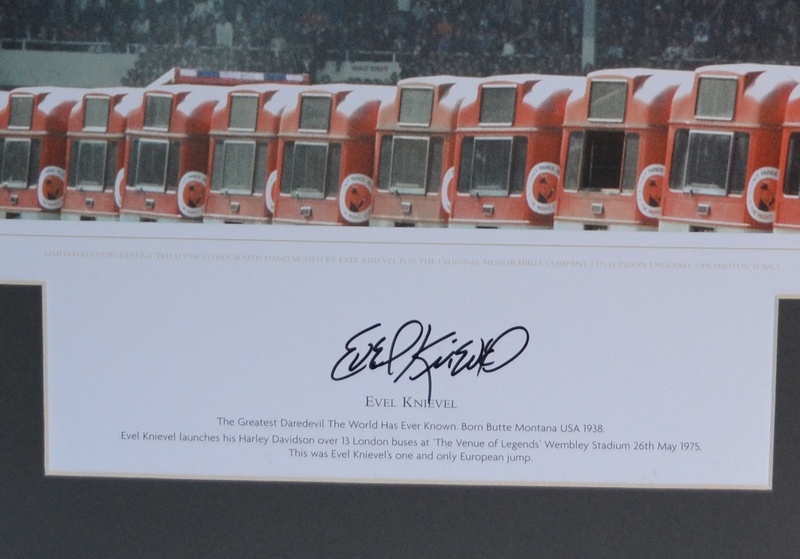 A framed montage signed by Evel Knievel, pictured in 1975 jumping 13 London buses at Wembley Stadium. 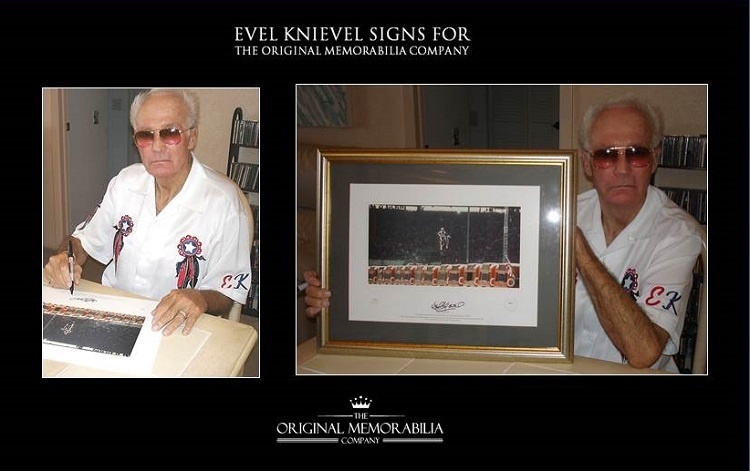 Evel Knievel signed an exclusive limited edition for The Original Memorabilia Company in Amarillo, Texas and this framed display is produced from a limited number of prints that were signed by Evel Knievel as replacements at the time. .
Evel Knievel was and remains an international icon, the greatest daredevil the World has ever known, and probably will ever know. 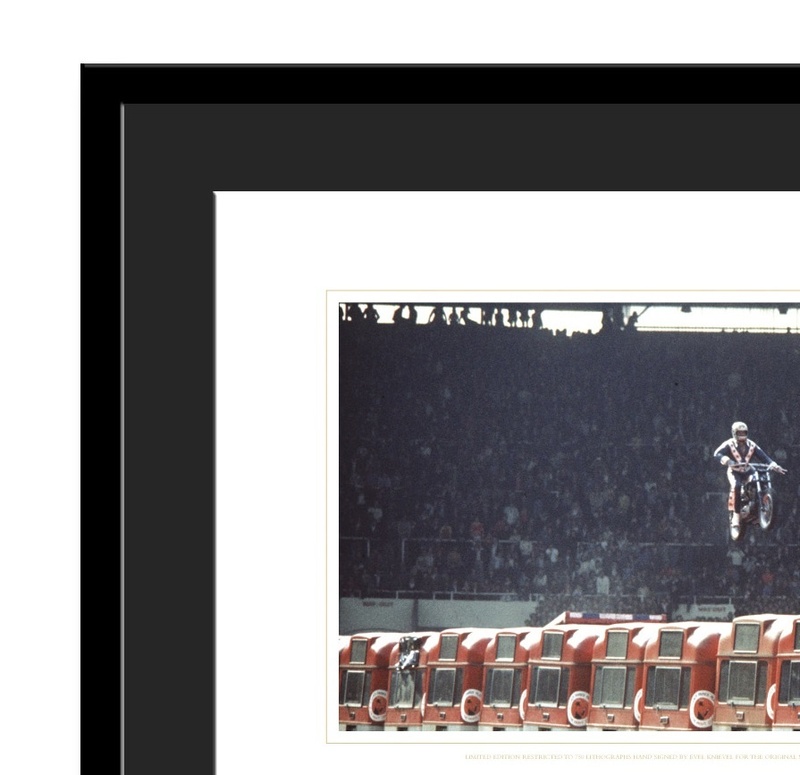 This high gloss image captures the legendary American in full flight astride his Harley Davidson, over an incredible 13 London buses at Wembley Stadium in 1975. Your purchase is safeguarded by our Absolute Guarantee of Authenticity that is provided with every purchase. Professionally framed by one of London's leading framers, this piece is presented under 'perspex glass' in a classic matt black mount and frame, measuring a substantial 21" x 17" (approx).